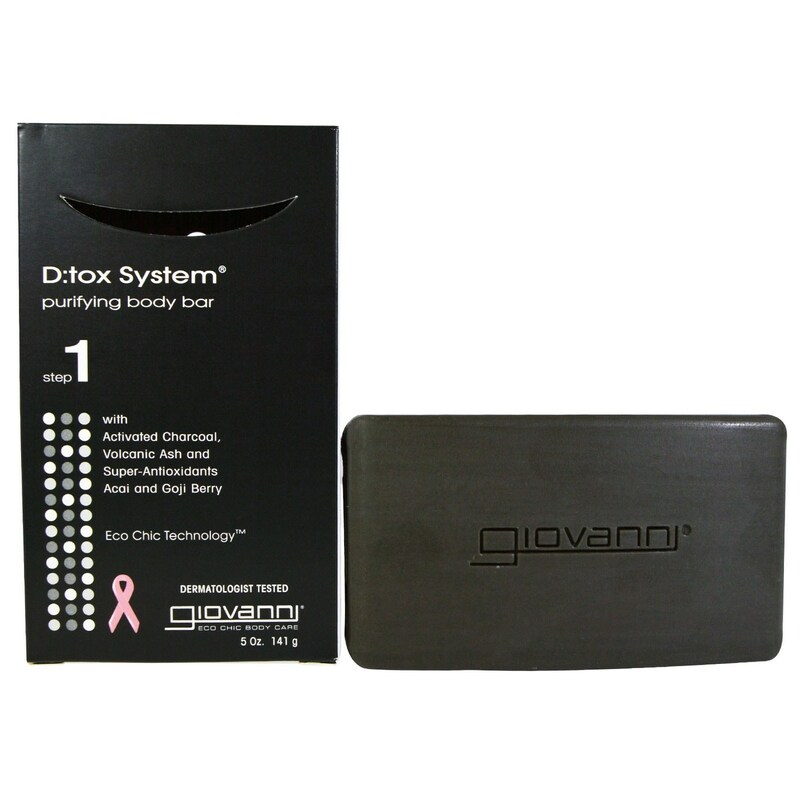 This is Step 1 in Giovanni's 3-step Dtox System. Use the Dtox System Purifying Body Bar to cleanse off dirty and impurities with infused antioxidants and other great ingredients. Notes: Step 1. Cruelty free, no animal fats, biodegradable. Hypoallergenic. Ingredients: Sodium palmate, sodium cocoate, aqua, glycerin, fragrance, sodium chloride, iron oxides (CI 77499, magnetite), *camellia sinensis (green tea) leaf extract, *ficus carica (fig) fruit extract, *passiflora incarnata (passion flower) extract, *euterpe oleracea (acai berry) fruit extract, *lycium barbarum (goji) fruit extract, *butyrospermum parki (shea) butter, pumice (volcanic ash), tocopheryl acetate (vitamin E), carbon (activated charcoal), pentasodium pentetate, tetrasodium etidronate. Recommended Use: Step 1: Lather Dtox System Purifying Body Bar in hands and work over body to create a rich lather. Rinse.